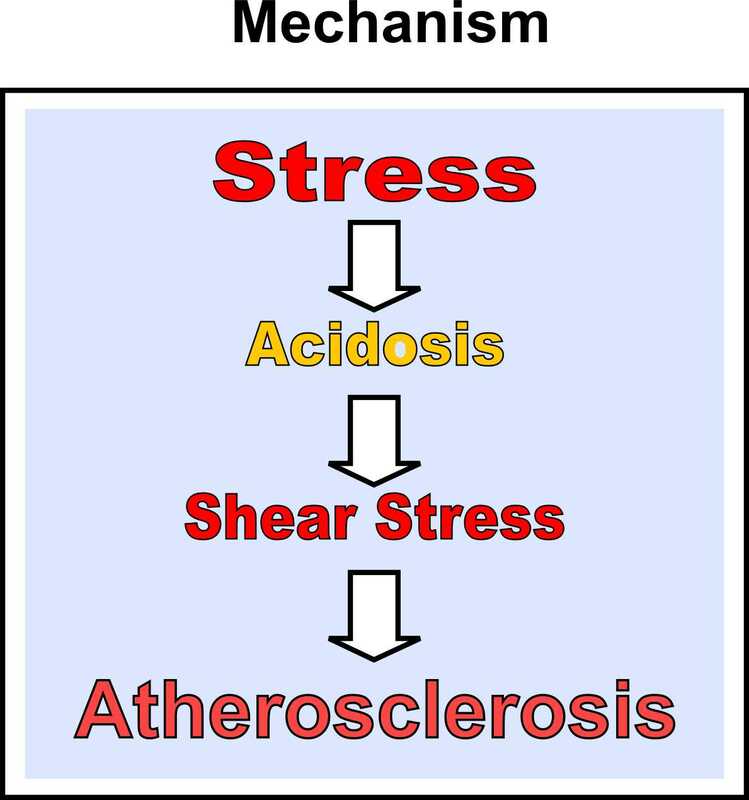 New Evidences: Acidity Theory of Atherosclerosis: Sympathetic predominance: The link between diabetes and cardiovascular disease? Sympathetic predominance: The link between diabetes and cardiovascular disease? It is also interesting to notice that plasma lactate was strongly associated with type 2 diabetes in older adults as demonstrated in a recent paper (2). According to the authors plasma lactate deserves greater attention in studies of oxidative capacity and diabetes risk. Both lines of studies come in favour of our point of view (3, 4,5) where the sympathetic predominance represents the primary factor in the cascade of events leading to a higher lactic acid production that provokes an increased perfusion pressure and effects on contractility of coronary arteries resulting in changes in hemodynamic shear stress and atherosclerosis as consequence.